Russia's hybrid military forces attacked Ukrainian troops in Donbas 15 times, in some cases using proscribed weapons, as a result of which one Ukrainian soldier was wounded in action (WIA), according to the press center of the Anti-Terrorist Operation (ATO) Headquarters. "In total, illegal armed formations violated the ceasefire 15 times in the past day. Ukrainian soldiers fired back nine times, making the enemy observe the truce. As a result of fighting, one Ukrainian ATO serviceman was wounded," the ATO HQ said on Facebook on Thursday morning. "The enemy continued shelling our positions to demonstrate its firing capability along the contact line. They occasionally used proscribed weapons," the ATO HQ said. 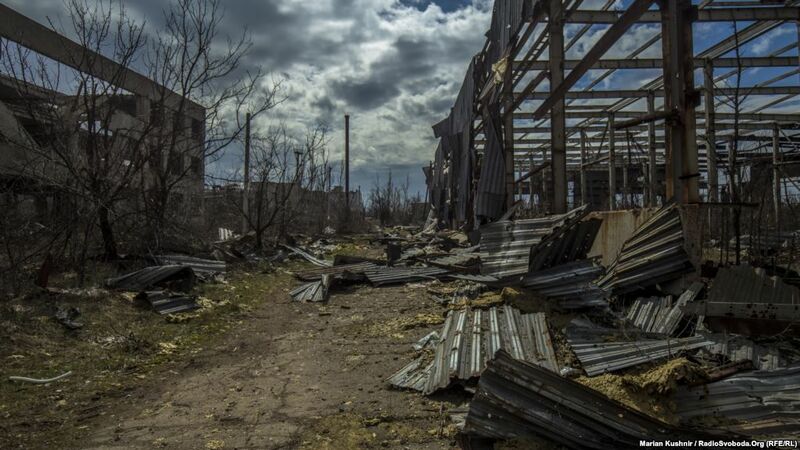 Read alsoUkraine updates on Donbas war casualties: Four killed, four wounded on Oct 24"At night, militants first used 120mm mortars to shell ATO strongholds near the village of Troyitske. At about 23:00 local time, they lobbed 20 rockets from a multiple rocket launcher into areas near the village," it said. What is more, Russian proxies fired 120mm mortar shells, aiming at a residential area of the village of Vodiane. Ukrainian positions near the town of Avdiyivka and Butivka coal mine in the Donetsk sector came under enemy grenade fire. The same type of weapons was used by militants to attack the village of Krymske in Luhansk region.